What does it mean to be a queen? The aspiration of every young princess is to grow up to be adored as the epitome of grace and elegance. 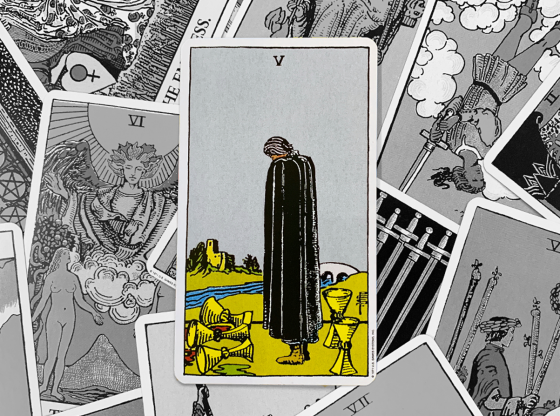 The Tarot deck has four suits that are ruled by a royal court. There are Swords, Pentacles, Cups and Wands and each of these suits has a King, Queen, Knight and Page as its ruling class. The Pages are the future of the court and the Knights are the messengers and defenders of their suit. The King is the ruler and the Queen is the heart of the nation. Each Queen card is the emotional manifestation of the suit she rules. When a Queen of any suit appears in your Tarot reading, emotional maturity, composure and control are at the front of the conversation. 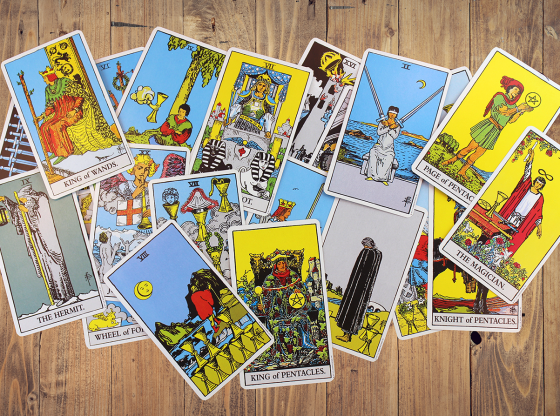 The Queen card represents these qualities regardless of its appearance in the past, present or future position of a reading. 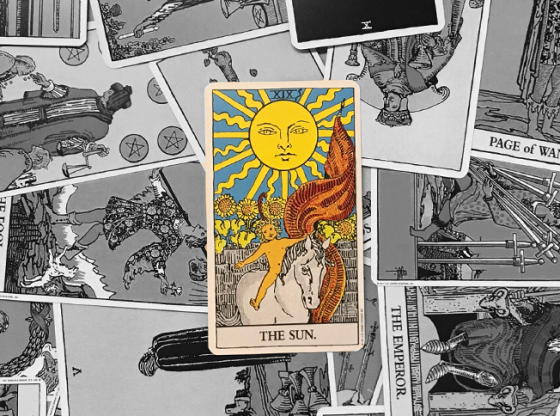 The Tarot deck is dealt out in a spread and cards land in a position representing one of these time frames. When a Queen appears in the past position, the reference is inevitably to your mother or a strong woman in your past. Your own emotional strength from years gone by may be illustrated here. Is the foundation of your current existence dependent on an emotionally poignant past? In the present position, a Queen asserts that you have mastered your feelings regarding a current situation. If you are in the middle of a seduction, the Queen card here confirms that your hunches about love are spot on. 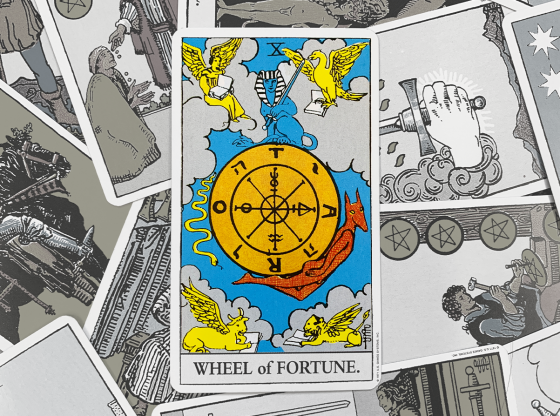 A difficult real estate transaction might be consuming your life but when you see any of the four Queens of the Tarot land in the present position, your desires toward a business deal are on track no matter what obstacles may appear. Like many a fairytale, the Queen card in the future position shouts, “And they lived happily ever after.” This is an indicator that your intuition will produce clear results about a direction that will be taken. Following your feelings is affirmed by a Queen card, especially when she awaits you in the future. Each Queen’s specific area of interest is indicated by the suit she oversees. The Queen of Swords is a master of communication. Clear thinking on a subject will allow you to speak your feelings without any emotional confusion. 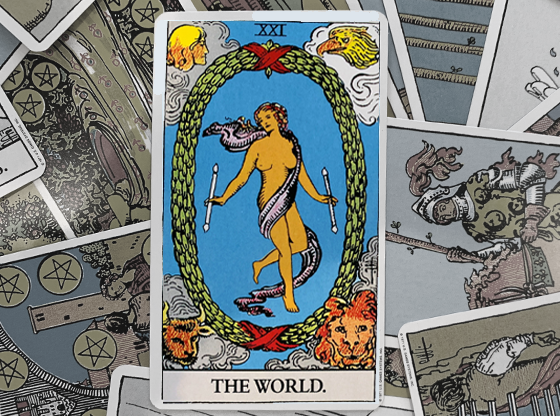 Sword cards rule ideas and words and can often be an argumentative outburst amidst your Tarot reading. 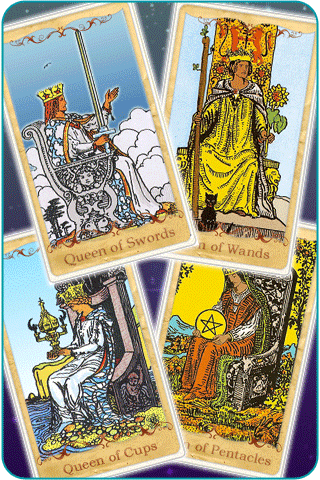 But the calm Queen of Swords has her say and gets her point across to your benefit. The Queen of Wands represents a new idea that gives you supreme confidence, makes you feel good about yourself and helps the world around you. Wands are wooden walking sticks; they make the journey easier for all of us. 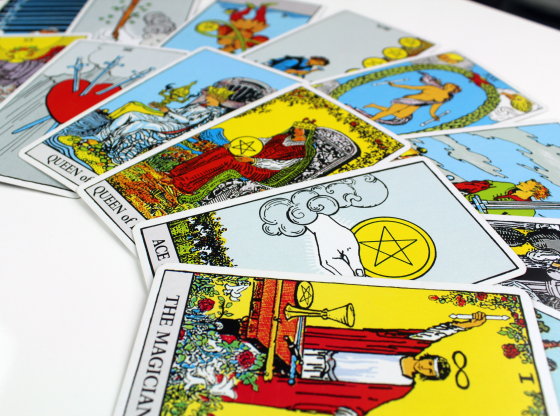 The Tarot uses wands to represent creative solutions. The Queen of Wands epitomizes having a great problem-solving approach to life’s challenges. The Queen of Cups reiterates emotional composure. Cups are the suit of emotions and many Cup cards express extremes in the range of emotional reactions. The Queen of Cups represents an overflowing bounty of love and acceptance, and yet with a stern and severe commitment to decorum. Court cards are nothing if not proper and elegant, honorable and polite. The Queen of Pentacles is the ruler of our emotional relationship with the material plane, wealth and our possessions. The Queen is an even-handed manager of money. 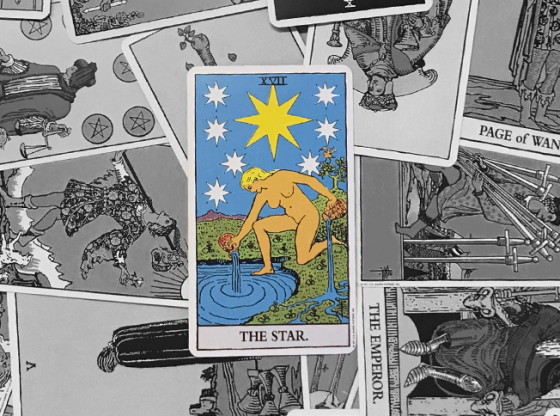 This card’s appearance can help you clean out your old hoarded junk, find what is valuable, protect what is sentimental and give you the bold permission to dump the clutter. When a Queen card appears in a reading with another member of the same court, the suit that appears is highlighted in a much more amplified manner. Two members from the court of the suit of Swords make the words you speak doubly important. Two court cards representing Wands makes a brilliant idea of yours a much more important one on which to work. 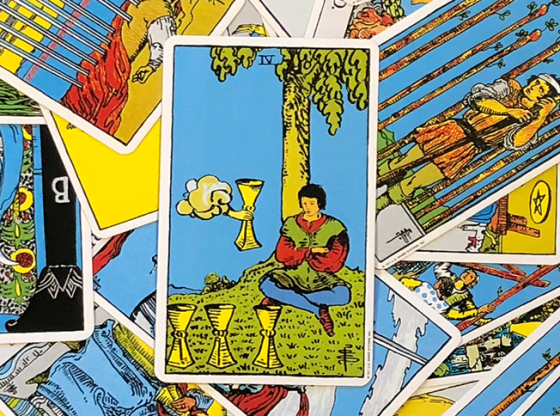 Two Cups always make a reading more about your feelings, but when those cards are from the court it adds a cohesive understanding of why you feel the way you do. 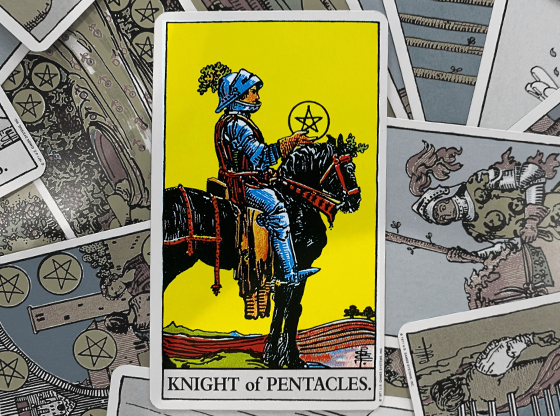 Two court cards from the suit of Pentacles give you a mastery over your financial future and beckon you to make a savvy investment in a business. Queen cards combine best with Kings. They don’t have to be from the same suit, just like your soulmate doesn’t have to be from the same neighborhood. A Knight in the same reading as a Queen card indicates that an emotionally exciting moment is going to be coming your way soon. A Page card and a Queen card might make you the naive person in a love affair or intense flirtation. The Queen reflects majesty and sincerity in all things emotional. 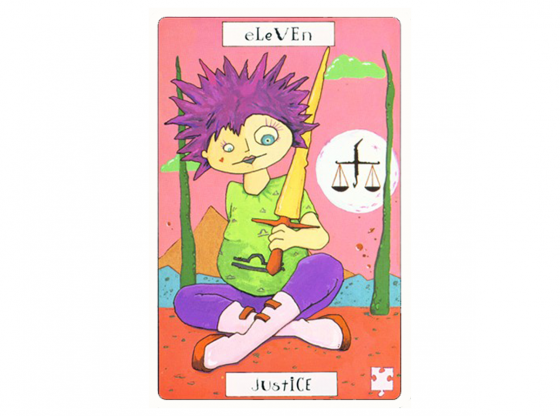 You should always feel better to see one in your Tarot reading. A royal standard is something to which one should aspire.